Geofencing is a technique of automating the delivery of messages based on whether a person is entering or leaving a pre-defined geographic area. 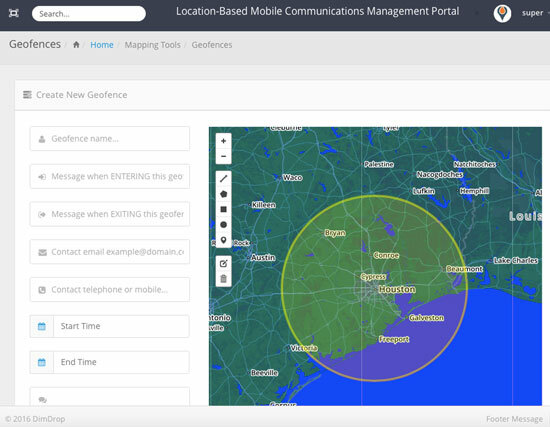 You can easily create a geofence in the DimDrop portal by drawing a circle or polygon on the provided map view. Once you have defined the geofence you can add the message you want the user to receive when they enter and/or leave the geofenced area. Geofences can be used to provide critical or informative alerts that are only relevant to the people in the area.